What’s Up? 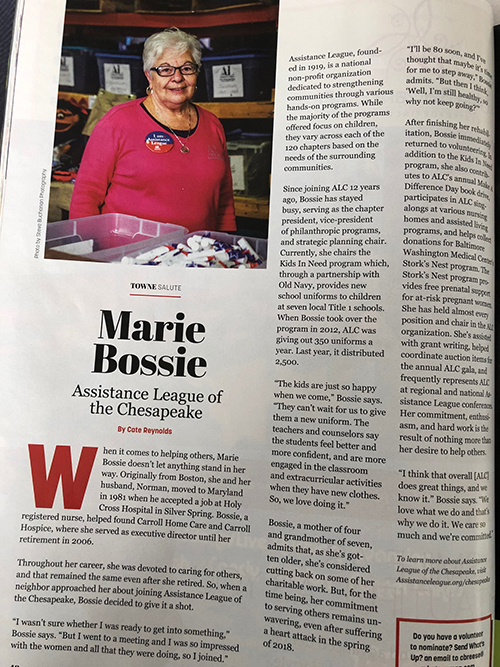 Annapolis magazine’s Towne Salute recently featured Marie Bossie, Assistance League of the Chesapeake member who chairs our Kids In Need program. Marie has held almost every position and chair in our chapter. In addition to Kids In Need, she has assisted with grant writing and fund raising, participated in sing-alongs at nursing homes and assisted-living residences, and the helped coordinate the annual Stork’s Nest Baby Shower which benefits at-risk young mothers and mothers-to-be. “Marie is our secret weapon as we serve kids in need. We are all proud of her,” said Lyn Hopkins, chapter president. 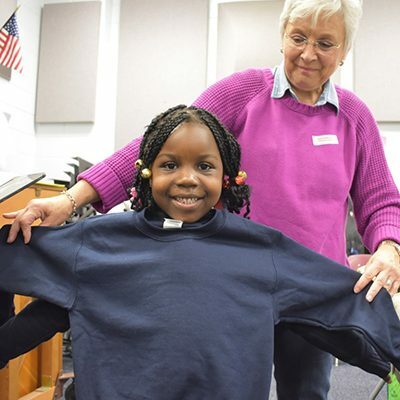 The Kids In Need program provides new school uniforms to seven local Title 1 elementary and middle schools in Anne Arundel County. Last year the program distributed over 2,500 uniforms to students. Assistance League members visit schools twice a year to measure students designated as in-need by counselors. 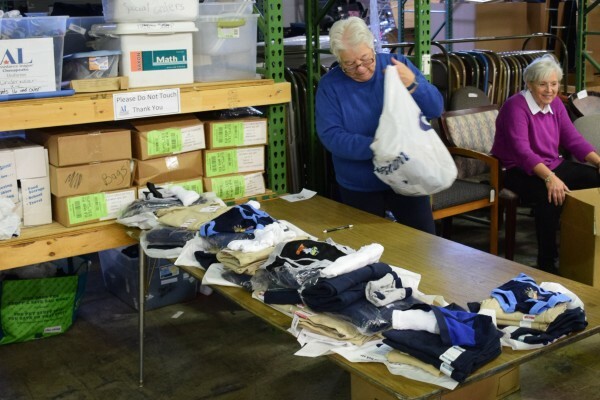 Our teams of volunteers then pack the uniforms and include a bundle of toiletries. The uniform package is valued at $50. It consists of a navy blue shirt, khaki pants, navy blue crew neck sweatshirt, socks and underwear. The toiletries bundle includes a toothbrush, toothpaste, soap, shampoo and conditioner. The toiletries are collected all year at our chapter meetings and are donated by members and members’ dentists. Most students receive one uniform set and some receive two, depending on their need. 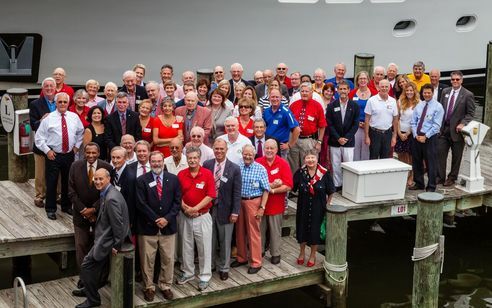 Learn more about how to support Assistance League of the Chesapeake’s Kids In Need program.